McAlvain Concrete owns and utilizes a wide variety of concrete forming and shoring materials. 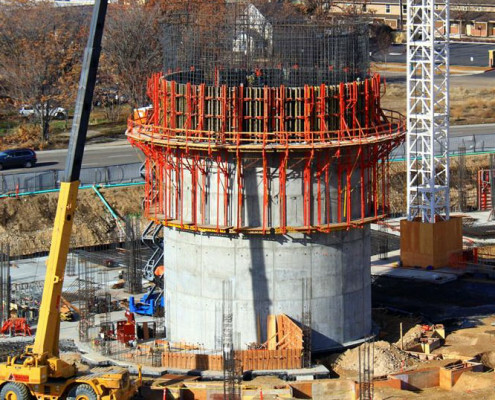 We have broad and deep experience with all aspects of vertical concrete forming. Our crews specialize in utilizing traditional handset wood forming systems, modular concrete forming systems, 1-sided formwork systems and differing radius configurations in order to complete any kind of vertical concrete work. 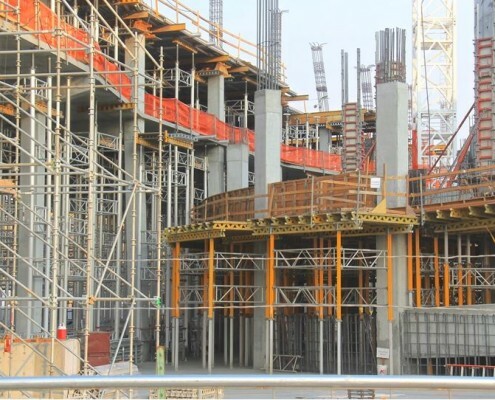 Shoring of concrete is critical to the success and execution of any concrete project. 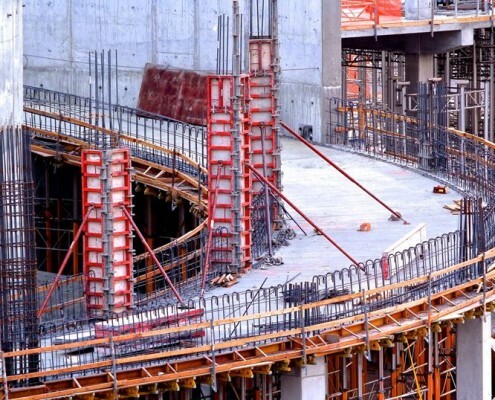 McAlvain is the premier concrete shoring contractor in our Northwest region with the ability to self-perform any type of concrete shoring project. With experience in shoring and pouring concrete decks over 30’ above the ground, no job is too tall or too complicated for our deeply experienced crews to tackle.